The following notes are primarily taken from the Content Creation User Group (CCUG) meeting, held on Thursday, March 22nd, 2018 at 13:00 SLT. For the purposes of Animesh testing, the meetings have relocated to the Animesh4 region on Aditi, the beta grid – look for the seating area towards the middle of the region. The meeting is chaired by Vir Linden, and agenda notes, etc, are usually available on the Content Creation User Group wiki page. There is no video to accompany this update, notes are taken from my own audio recording of the meeting. The current work to update the baking service to support 1024×1024 textures on avatar meshes. It is important to note that this project is still in its preliminary stages. Any release of a project viewer (see below) doesn’t mark the end of the project, but rather the start of initial testing and an opportunity for creators to have input into the project. QA testing revealed a number of bugs which need to be addressed before the project viewer reaches public consumption. Current status: Rider Linden is working on some internal fixes for EEP which should hopefully move it closer to public visibility, and there is some more infrastructure work to be done. A project to revamp the viewer’s atmospheric shaders and rendering. Current status: Graham Linden indicated “good stuff” is in the works, but nothing he can publicly report on as yet. Will not initially include the notion of a body shape (see below). Vir continues to work on performance profiles, and is “pretty close” to having something for Land Impact, with a formula under evacuation. Among the changes, this formula calculates scaling differently, and Vir notes there are a number of corner cases which need to be dealt with. The tri count cap will also be finalised alongside the updated LI formula. Vir Linden agreed that this is a problem, and that forcing abnormally large avatar bounding boxes is undesirable. In some places, the Lab tries to use the rigged mesh wireframe as the basis for the bounding box, which is seen as a little more robust as it is looking directly at the triangle data, rather than working off of the avatar itself – and this is the approach being considered with Animesh to avoid similar issues with Animesh rigged mesh failing to correctly LOD in the viewer – however, so believe the use of such static data is “meaningless”. For BUG reports, Accepted tends to mean the Lab have imported the report for evaluation / agree to there being a bug and will look to fix the issue. When it is addressed is dependent on a number of factors (e.g. severity of the issue). For feature requests, Accepted means the Lab is sufficiently interested in the idea to want to track it. It does not mean the idea will be implemented, either in whole or in part. Whether it is implemented in whole or in part again depends on a number of factors (how it sits within the current workflow, whether or not it is related to work being carried out and can be added to it; whether it is something which might be implemented alongside of upcoming work; whether it is better to hold off until it and other ideas like it can be implemented together as a project, etc.). The last portion of the meeting focused on the recent blog post from Linden Lab indicating Last Names would be returning to Second Life. Given the level of interest in this project, I’ve written a separate update on this section of the discussion. See: The return of Second Life Last Names – update with audio. 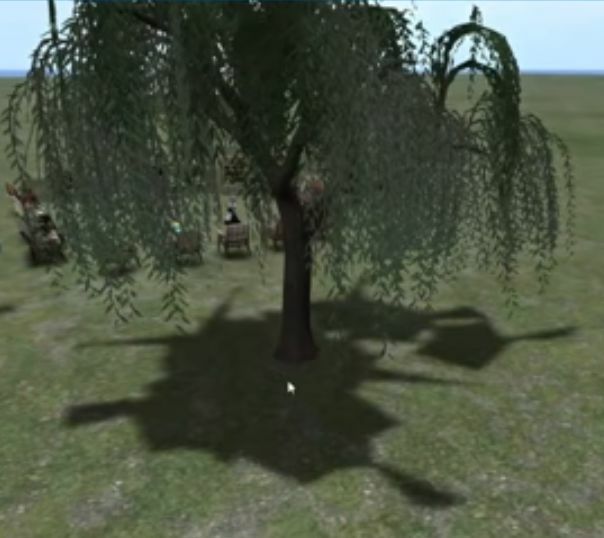 Transparency shadow casting from rigged items: there is an issue with rigged / static meshes using transparencies (blended or masked), which causes shadows cast by them to render incorrectly (shadow rendering conforms only to the geometry silhouette). Graham Linden indicated that this is something the Lab plans to fix, but the work has yet to be scheduled. Switching mesh asset on the same prim root: this used to be supported via script, but was removed due to people using it to create flipbook style animations which could adversely affect performance. It’s been suggested that it could offer an alternative to performance-impacting alpha swapping on meshes; however, the Lab’s view is that while alpha swapping is performance impacting, switching entire mesh assets would still be more of a performance hit, as the latter requires all of the geometry data associated with the mesh to be rebuilt every time. That bounding-box problem looks nasty. I have already seen those oversized heads when rezzing is slow, and adding those extra invisible prims is just stupid. It’s good to know the Avatar bounding box is used as the baseline for the attachments, I’d noticed it when Firestorm introduced its LOD info display in the Object Editor, but when I asked I was told you couldn’t rely on it. Now it looks like there’s a simple rule, which is being abused by some content creators, and does a lot to explain those avatars with huge Complexity numbers. Use the largest bounding box for the set of components. Usually that’s the avatar, and then somebody pulls an antisocial stunt like this. There’s an argument for revoking Mesh Import Permission for the creators who have done this stunt with the extra prims.